Bruce Cohen, Founding board member of AFER and Academy Award winner for Best Picture – American Beauty. 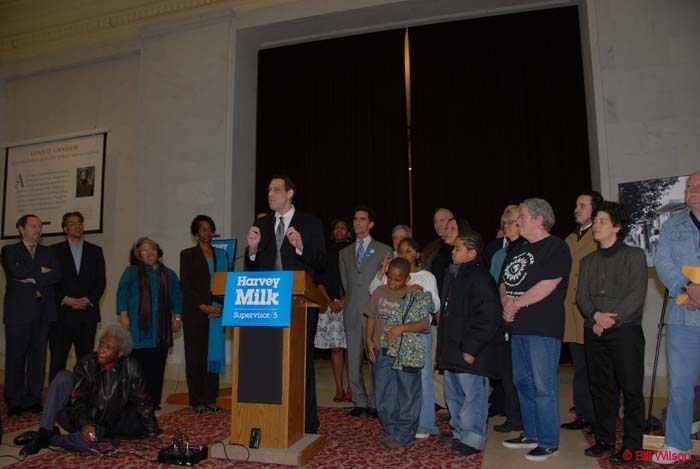 Bruce produced MILK and has been a leading activist and voice for equality throughout the US. Tom Dyer, Esq. CEO Watermark Publications. One of the southeasts most influential business leaders and a major builder of LGBT collaboration in Central Florida. Rob Epstein, two time Academy Award winner, director, producer, writer and editor. Rob won an Academy Award for his direction and production of both The Times of Harvey Milk and Common Threads: Stories from the Quilt. Enemencio Gomez, Principal, Global Translations LLC; Senior Interpretor; Bailey Faculty. Ene is a leading voice of inclusion for the American Caribbean and a leading voice of cultural acceptance in Texas and the Southwest US. Dolores Huerta, historic union leader and legendary activist for the rights of farm workers and women. Along with Cesar Chavez, she founded the United Farm Workers, in 1962. She is a recipient of the Presidential Medal of Freedom and is the founder of the Dolores Huerta Foundation. Kara Kennedy (Emeritus d. September 16, 2011), accepted the Presidential Medal of Freedom in 2009 on behalf of her father US Senator Ted Kennedy. Kara, a board member of numerous philanthropic organizations and an award winning filmmaker, is the niece of President John F. Kennedy and Senator Robert F. Kennedy. Anne Kronenberg, Executive Director San Francisco Department of Emergency Management; Co-Founder, HMF; Campaign Manager of Harvey Milk’s historic 1977 campaign and his political aide in City Hall. Dr. Timothy Patrick McCarthy, Professor on Public Policy, and Director of the Human Rights and Social Movements Program at the Carr Center for Human Rights Policy at Harvard University, Kennedy School. Commissioner Nicole-Murray Ramirez, San Diego; Presiding Officer International Court System. Nicole has chaired and served on the boards of the Task Force, HRC, EQCA and has led all three national march of Washington DC for LGBT rights marches. Anette Trettebergstuen, MP, Ranking Member Foreign Affairs committee, Norwegian Parliament; Special Norwegian Envoy to the United Nations.